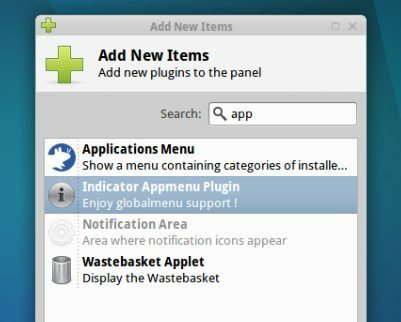 XFCE Global Menu Plugin Gets a PPA - OMG! Ubuntu! Xubuntu 11.04 and 11.10 users wanting to add Ubuntu’s “App Menu” (also known as a ‘global menu’) can now do so with ease. The developer behind�the XFCE-tweaked version has put the plugin in a PPA for easy installation and upgrading. Once everything has successfully installed you’ll need to add the plugin to the top panel on your desktop.